It is quite understandable if you want to know about the safety of the country you are travelling. It is always better to have a background check before you decide to plunge into the adventure. But when it comes to Mauritius, then you don’t have to worry much comparing to other countries. Just like any responsible person, you would take care of your valuable belongings, and pay much attention while you venture out late at night, the same apply when you visit the country. There is no such things like curfews, vandalism, lady-boys, terrorist attacks, or shoot outs here in Mauritius. Though, there are certain places that you should avoid, especially certain city outskirts, or ‘ghettos’, where the chance of getting robbed is high. You have to take particular attention while visiting the central market in Port-Louis, especially at the end of the year, when the street is usually over crowded. It is quite safe to venture late at night, provided that you know where you are heading. It is better to be accompanied by people who are familiar with the place, otherwise, going to nightclubs in Mauritius is rated as safe. You might want to pay attention while drinking alcohol as it is easier to get fooled when you’re not quite in your total sense. While travelling, it’s important not to forget about the travelling etiquette, as you don’t want to sound ‘rude’ or ‘impolite’, and there is nothing more vexing than trying to figure out who to tip, how much, and when. Whether you should tip employees at the airports, drivers, bellmen, bartenders, or servers at the restaurants, it sounds so confusing. 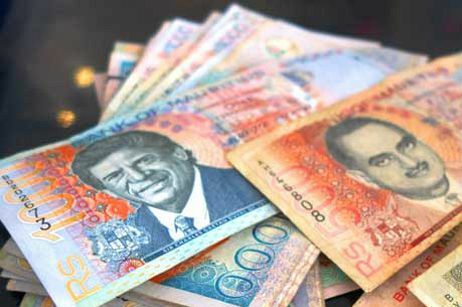 However, you don’t have to feel obliged to tip in Mauritius, as Mauritians know that to earn a tip, there is an extra work or attention that you must give to the clients. Wherever you will go, whether in a hotel, restaurant or travel in taxi, the personnels are always going to do their utmost best to make you happy with their services, to earn those tips. The tipping policy here in Mauritius is pretty simple. You tip those employees such as the bellmen, bartenders, servers, drivers, tour guides, or any other personnels who have been very attentive and helpful towards you. The amount really depends upon the type of hotel you are at, and the type of guest you are. If you are staying at the hotel, it is basically at the end of your stay that you can pass an extra cash to any staff members who have particularly been attentive. You can also tip the bellmen once he has delivered your luggages to your room. You will have the choice of adding an extra something onto your credit card if you want to give a general ‘tip’ which will then be added to a pool for division among all the staff at the end of the month. The back of house staffs such as the chefs, and maintenance department will also benefit that way. As while travelling in taxis, if the driver has been particularly informative or helpful taking you around, you can always add an extra Rs100-200 to show your appreciation. And while in restaurants, if you have appreciated the type of service they offer, you could leave a few loose coins or small note for good service, or simply leave a Rs 100 note to the person offering you good service. There are different transport facilities when it comes to travel to different places in Mauritius. The most widely used transport is the bus, which can be kind of affordable compared to other means of transport. The country consists of a good bus network, which is available across the island. Most of the buses are well maintained, except you might find some, which are not that comfortable to travel. It is quite fun to explore the real Mauritius, if you are covering short distances. You’ll get to mingle with the locals, and learn more about the day to day life. Though, it is cheaper to travel by bus, however, it won’t be that comfortable if you are covering long distances, and you should arrange enough time to get to your destination. Sometimes you might end up taking more than two buses depending where you are heading. Each time you take a new bus, you should purchase a new ticket from the bus conductor, who is always joining the bus. Signs on the front side of the bus are showing the last stop. Choosing to travel by car is the best way to explore the island at your own pace and comfort. If you wish to drive then you can always rent with car rental agencies which include, both local and international firms. In Mauritius you drive on the left – hand side of the road and give way to the right, which is quite unusual for some of you. Drivers wishing to rent a vehicle must be over 23 years old and must be in possession of a foreign licence; it is not necessary to have an International Driving Permit. Otherwise, you can hire a taxi to take you to your destination. There are plenty of taxis, and are government regulated and charge fares according to a meter. Many cabs are connected to a particular hotel, which can be seen advertised on a yellow panel on the drivers’ door. 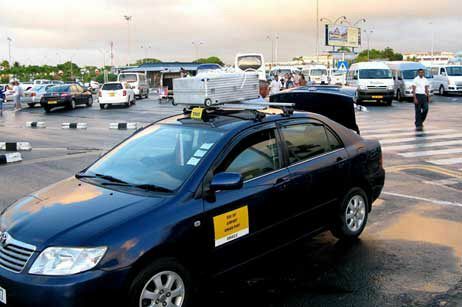 Taxi fares are usually negotiated in advance for the trip or for a day’s tour. Owing to the fact that Mauritius is a multi-cultural country, it becomes obvious that the languages spoken over here are quite diverse. Influenced by the British and French colonists, along with the indentured labourers coming from Asian countries, and the slaves from African countries, the island ends up having a population of people speaking more than just two languages. Basically English is the official language which is used in official documents, and in the Parliament, but French language is widely spoken across the island since the country is more Francophone than Anglophone. Besides from these two languages, the most predominant language is the mother-tongue Creole pidgin of French-based, which is a mixture of English, French and other languages from Asia and Africa. Due to the different ethnic groups, there are several other languages such as Hindi, Bhojpuri, Urdu, Tamil, Telegu, Mandarin, and Hakkka that are used by the locals. It becomes easier for the tourist to converse with the locals, as they can absolutely speak both English and French, even though some might just converse in Creole, you won’t find it that difficult to understand since most of the words in Creole are taken from the French language.